Good morning, lovelies! Ready for some pinspiration? 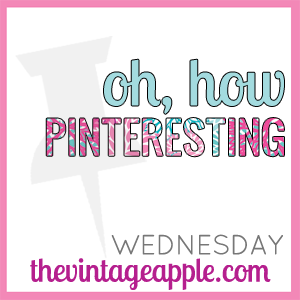 Come check out my other 7,500+ pins.I'd love to share some of my pincredible finds with you! I have got to try the first one that looks so good. The Mason jar is so adorable and nail diy needs to go on my to do list. Great pins! OMG!!! I am crazy about Doctor Who!!! It's so fun to find out I am not alone in my geeky-ness! I've always loved a good cheese plate! Hey Brenda, sorry it's taken me a bit to get back over and check things out. The blog is looking great! I love this idea of a Pinterest round up.